Mattel's Mindflex Duel… Original Mindflex… only Twice Better!! Mattel’s Mindflex Duel… Original Mindflex… only Twice Better!! Some time ago I had written about the Original Release of Mindflex (ARTICLE). The original game was shown of at CES 2009.. But the mass-market release took close to 1 Long Year!! However Mattel has come a long-way. Unreleased sales figure suggests a massive demand for the game. Some doctors are even suggesting the game for People (read Children & some Adults!) suffering from Attention Deficit Disorder (ADD). Those who have used the products have discovered their interest and performance has increased in daily life. Parents of children that have bought the device noticed their children are doing better in school. You will have to chart the users’ information with the device to see if things change over time & as a matter of fact, they do! It can help to show parents if it really is helping. Some mothers have gone on to claim that their son was able to concentrate more on his homework after spending hours focusing his mind with the Mindflex game!! This, very-well, could be true. So, after the Game has achieved good success (I will not say phenomenal since the game generates slightly above 1% revenue from Total games in Mattel’s kitty.).. Mattel Corp has done what every organization does after the Product has crossed the Peak of its Life-Cycle.. Try to revive waning interest by realising small incremental rereleases of the game & rebranding it as a New One!! Just like its older sibling, the Mattel Mindflex Duel allows you to play with the floating foam ball using nothing but your mind. 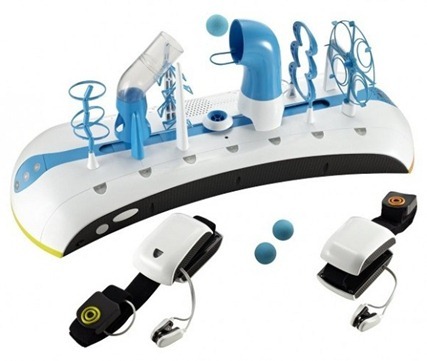 The innovative toy comes with a headband laced with sensors that detects your brain activity and translates it into energy required to move the ball across the kit . However, the new version has a two-players option which allows users to compete with another user and control the ball moving along the Mindflex apparatus in a tug-of-war fashion. Not only this, there are five different modes to play with each mode offering different and exciting challenges. Users can also opt to play cooperatively to achieve a common goal. For instance, both the players can use their combined mind power to effectively traverse the ball through the loop holes hovering it over the entire setup. The entire setup can be customized to build your own custom tracks, paths and mind-bending obstacles to enhance and make the game play even more exciting. In much simpler terms, users wear headbands which sense brain waves and convert them into commands required to control the SPEED of the fan which “Controls” (Read going up or coming down) the movement of the ball. The speed of the fan varies with the intensity of brain power (subtle neural activity i.e electrical impulses) applied. This Game has additional functionality (Since its supposed to be Duel Right!!) To control the “PULL” of the Fan-Train. The harder the concentration the closer the Ball comes towards the player. The weaker concentrator loses. It will be clear in the video below. The Mindflex Duel is available for pre-order on Amazon (US) for $99 (HERE). 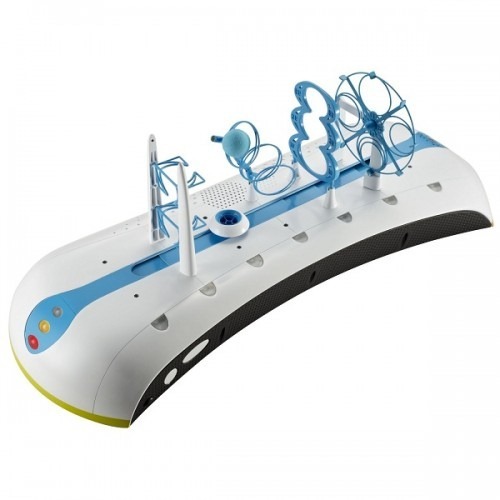 However, you won’t be able to exercise the fun before August 2011, which is when the Mattel Mindflex is reportedly shipping. Does this telekinesis-based toy amuse/interest you? Mindflex Dual in Duelling Action!! Electrical Jolt if Concentration goes out-of-sync! !